"This shark, swallow you whole!" 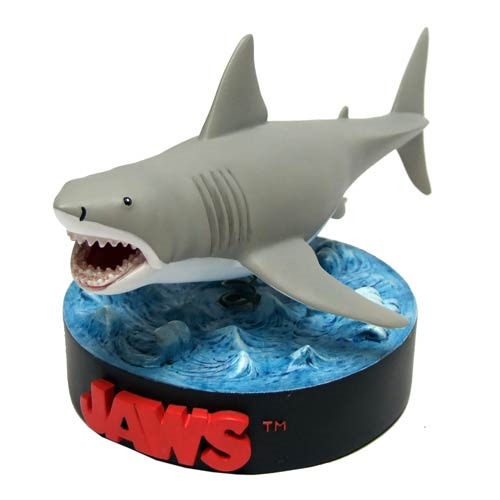 Designed to match the Bruce filming models seen on screen, the Jaws Bruce Shark Deluxe Bobble Head used the original shark construction plans as reference. Crafted from resin and hand painted, the Bruce bobble head statue measures 7 1/2-inches long x 4-inches tall x 4-inches wide. Ages 14 and up!